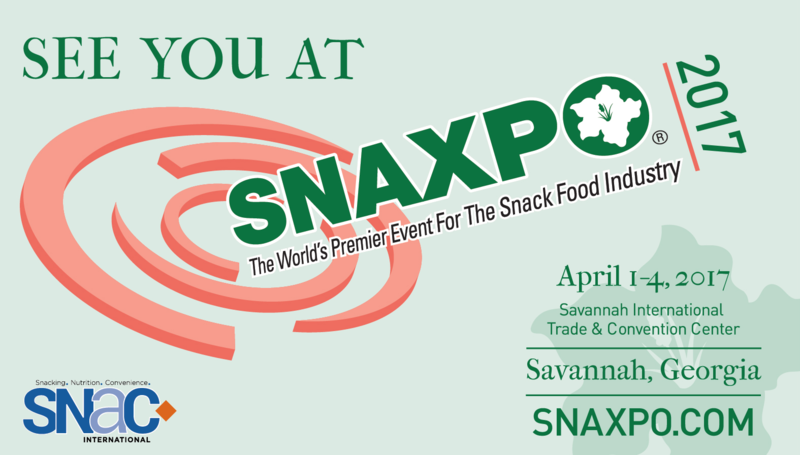 From April 1st through the 4th, over 1,000 professionals are expected to attend the 80th annual SNAXPO exhibition and conference that will take place at the Savannah International Trade and Convention Center in Savannah, GA. SNAXPO is the “most comprehensive trade show devoted exclusively to the international snack food industry” (1). The event is hosted by SNAC International, “the international trade association of the snack food industry” (2). Over 150 exhibitors will be present, eager to engage with customers and prospects in attendance. Educational programming and other events are on the agenda as well, at times that do not overlap with exhibitor hours. Come visit Masipack at SNAXPO! We look forward to being a part of this annual event and the opportunity to speak with these attendees about their current and upcoming equipment projects so that we can collaborate with them to meet their packaging needs. Packaging equipment for the snack market is one of our main areas of specialty.